London, a global hub for insurance and financial services, was the venue of a series of major events in June for the UNEP FI Principles for Sustainable Insurance (PSI) Initiative. These events marked the second year anniversary of launch of the PSI Initiative at the 2012 UN Conference on Sustainable Development. 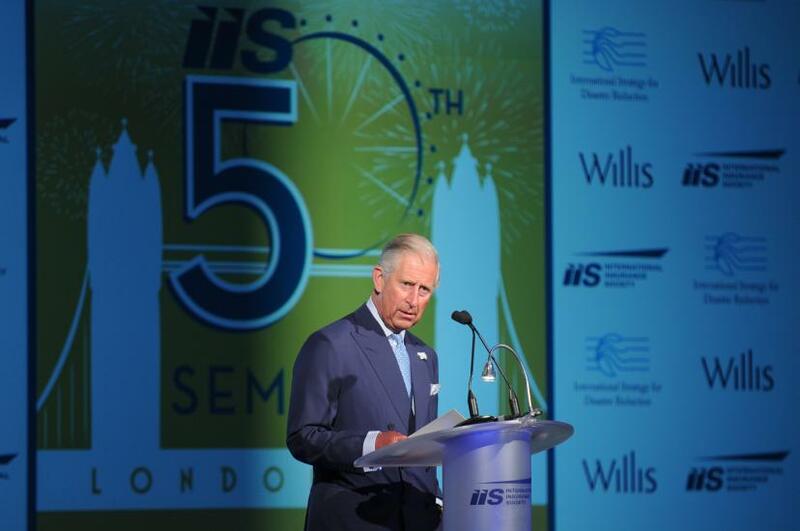 On 25 June, His Royal Highness The Prince of Wales, and UNEP Executive Director and UN Under-Secretary-General, Achim Steiner, delivered keynote addresses on the final day of the 50th Annual Seminar of the International Insurance Society (IIS). HRH Prince Charles underscored the importance of the precautionary principle amid the sustainability challenges the world is facing, and the need for every sector of society to be fully engaged in disaster risk reduction. He called on the insurance industry and the broader private sector to actively support the aims of interlocking and mutually reinforcing global policy discussions on sustainable development taking place this year and next year—including the Post-2015 UN Framework for Disaster Risk Reduction, the UN Sustainable Development Goals, and the international climate agreement to be decided under the UN Framework Convention on Climate Change. He said that these discussions will shape decisions that will have a material impact on the future well-being of the entire planet and of its people. Achim Steiner, in his keynote address, articulated the important role of the insurance industry in tackling global sustainability challenges, announcing the launch of the first report of the PSI Global Resilience Project (see UN press release) and the aims of the UNEP Inquiry into the Design of a Sustainable Financial System. That day also marked a UN summit on the role of the financial and private sector in disaster resilience, co-hosted by the IIS and the Willis Group. Other keynote speakers included Margareta Wahlström, Special Representative of the UN Secretary-General for Disaster Risk Reduction, Lady Lynn Forester de Rothschild, CEO of EL Rothschild, John Nelson, Chairman of Lloyd’s of London, and Tomas Christensen of the UN Secretary General’s Office. PSI Programme Leader, Butch Bacani of UNEP FI, spoke at the plenary session on recommendations for the Post-2015 UN Framework for Disaster Risk Reduction. He was joined by senior officials from the UN Office for Disaster Risk Reduction, World Bank and insurance industry. The next day, on 26 June, the PSI Board convened at Aviva’s global headquarters to assess the progress of the PSI Initiative and identify key priorities for the rest of the year. At the start of 2014, the PSI Initiative started implementing the three-year strategy it produced late last year. The PSI Board meeting was chaired by Andreas Spiegel of Swiss Re. Finally, on 27 June, Aviva and Lloyd’s of London co-hosted the first-ever PSI market event, which convened leading insurers and key organisations in the UK and internationally, including insurance regulators, rating agencies and UN agencies. The first report of the PSI Global Resilience Project, Building disaster-resilient communities and economies, was formally launched at the event and was presented by Melinda Mulroney of Insurance Australia Group. The report assesses the effectiveness of a range of disaster risk reduction measures across the three most devastating types of natural hazard—cyclone, earthquake and flood. The PSI Global Resilience Project represents a phased approach to protecting communities from natural disasters. UNEP FI Director, Charles Anderson, framed the global sustainable finance agenda and conveyed key messages from the first UN Environment Assembly, which was being held that same week at UNEP’s headquarters in Nairobi. 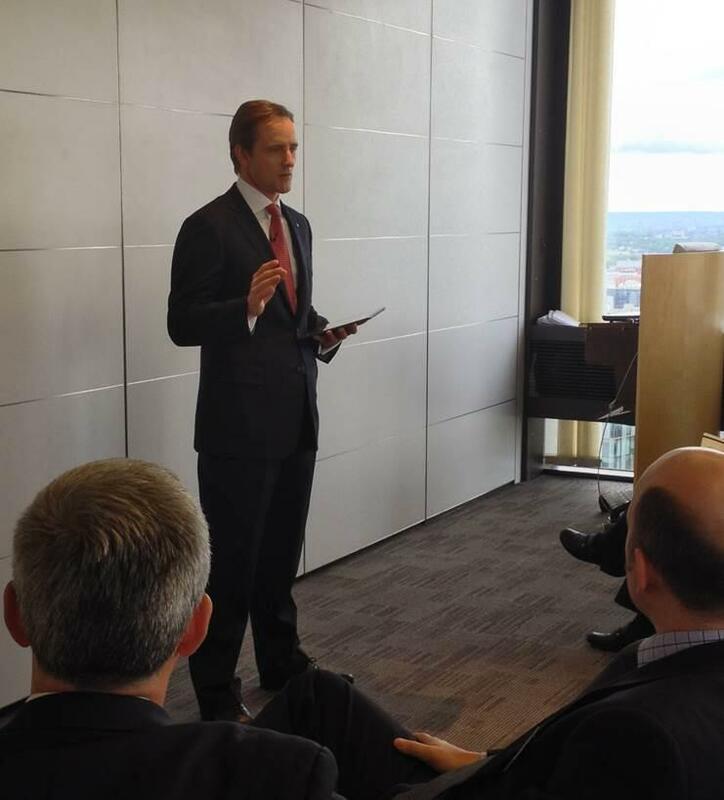 At the PSI event, Aviva’s Group CEO, Mark Wilson, delivered a speech about his company’s sustainability journey and the insurance industry’s role in driving sustainable development as insurers and investors. Steve Waygood, Chief Responsible Investment Officer of Aviva Investors, then spoke about the aims of the Aviva white paper, A roadmap for sustainable capital markets: How can the UN Sustainable Development Goals harness the global capital markets? Nick Robins, Co-Director of the UNEP Inquiry into the Design of a Sustainable Financial System, announced an international consultation process, which will be carried out jointly with the PSI Initiative, to better understand the links between insurance regulation, sustainability and the green economy. He also presented the new publication, Aligning the financial system with sustainable development: An invitation. Tom Bolt, Director of Performance Management at Lloyd’s of London, underscored the importance of integrating climate change into insurance business strategies and operations, such as in catastrophe modelling, the subject of a recent Lloyd’s report. The inaugural PSI market event was chaired by UNEP FI’s PSI Programme Leader Butch Bacani and covered a range of key topics on insurance and sustainability issues, including disaster risk reduction, retail and corporate insurance, financial regulation, the capital markets, insurance underwriting, investment management, microinsurance and catastrophe modelling. The PSI Initiative will be carrying out similar events across insurance markets worldwide as part of its global strategy and work programme.